On the morning of May 29th, 2015, my cousin, a longtime supporter of my writing, sent me a message telling me that he missed me – Eater Provocateur, aspiring MFK Fisher 2.0, the woman and writer I dream to be. I did not have the chance to write him back or lament how much I missed me too. I’d planned to put together a book on Blurb this summer; I hoped to send off essays to journals. I was going to travel my small Utah world and write about the people and pioneers in local food production. I would take thousands of photos, and throw myself into research. After giving so much of my energy to my students, this was EP’s summer to shine. Instead, that afternoon, I received a phone call from an emergency room in southern Utah, notifying me that my father had been admitted for a heart attack and possible stroke. The doctors could not stabilize Dad’s blood pressure, so they arranged for him to be airlifted to Salt Lake City. Not yet grasping the severity of Dad’s condition, I inquired whether I should drive to Salt Lake that evening or wait until the following day. They said, “Go now.” I went. CICU surgeons operated on his dissected heart throughout the night. Though the surgery successfully repaired the aortic tear, a scan the next morning revealed a massive stroke in Dad’s brain and no hope for recovery. He was, effectively, brain-dead. I hugged the hull of his body and authorized permission for the removal of life support. In the span of twenty-four hours, on a sunny day at the start of summer break, my father died. 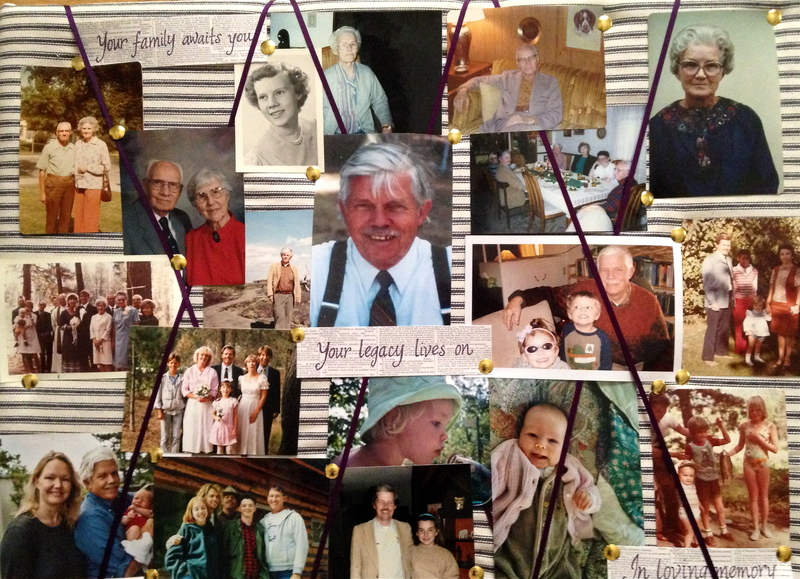 In the intervening weeks, I learned more about my father than I ever wanted to. I scanned every credit card bill, finding pages and pages of online book purchases, and several unpaid balances. I sorted mortgage bills from utilities, three heavily indebted properties deep. I filled garbage bags with remnants of his last meals and pieces of his life that only held significance to him. I culled a biographical narrative of his youth from epistolary threads and salvaged forget-me-nots. But death is mainly business and arithmetic. In death, my father amasses a debt of $200,000 and rising. My father was generous to a fault, and he attracted “friends” who found ways to manipulate and capitalize on his generosity. My siblings and I had often wondered why our tenured professor father lived like a pauper. Now we know – we have the calendar notations and check stubs to prove how he shared his salary with several others: current, past, or potential paramours; graduate students fallen down on their luck; renters he felt too guilty to ask for rent… and went so far as to pay their utilities to spare them from financial duress. Some of these “friends” received money from Dad for decades; one seemed especially distressed to learn that she would no longer be receiving handouts from Dad’s non-existent estate. Generosity was clearly Dad’s high. It is not my intent to smear my father’s name, but I struggled with fury: at Dad for being such a tender-hearted idiot, and, moreover, at those who took advantage of his kindness. I will say that I did not hesitate to close accounts without notifying the parties waiting for their “paychecks.” I have also collected as much of their personal information as I can with the intent to press charges if the need arises. As a counterbalance, I also learned that my father was loved and valued beyond measure by people who were not bleeding his bank accounts. Emails and letters poured in as news of Dad’s death reached farther and farther into his social and professional circles. All expressed genuine shock and concern; all were kind. The volume was overwhelming. I dreaded checking my email for fear of the inevitable raw and heartfelt messages within. In a way, after my mother’s laughable funeral attendance, it felt validating that so many people cared for my father, people who did not take advantage of his generosity but instead expressed their gratitude and devotion to him. I cannot remember which of these dispelled the fury, at least temporarily. I still find it hard to drag myself out of bed. I do, but it takes a very long time and a lot of internal negotiation. My biggest motivations are letting the dog out and making breakfast for my family. I haven’t been running, though I know I should. I’ve been drinking too much, though I know I should not. My appetite is gone. But I believe that hope is slowly returning. Over the weekend, I officiated Dad’s memorial service for the family. I did not pass out or collapse in grief. I held my chin high, kept my voice and my eyes level, and honored my Dad the way children must sometimes do. I give Dad one hour each day: to make calls, to contest charges, to forward copies of his death certificate. His final affairs sit in a box by the piano; I can once again see the surface of my dining room table. Remember that, at one time, you valued compassion and empathy. You will get that back. Remember that letting go leads to freedom. Let go. You will smile and laugh again. It will just take some time to recover. You will not be – cannot remain – this cynical and foul-tempered. It is not healthy and it is not you. The murderous rage against those who manipulated your father will subside into peevish irritation and hopefully humor that cuts deep. The world exists outside your door, and you are not done with it yet. You stand with those who love life. So stand up. Shot at night in low light with a flash… and four friends willing to be scalded in the process of capturing a single good photo. This, to me, signifies true love. In this new year, I find myself going back to beginnings. Eater Provocateur started as a creative outlet for my inner MFK Fisher, a vehicle for self-expression with the side benefit of bringing culinary joy to others. Entering the teaching arena diverted my energy, dividing my attention inequitably: scales tipped towards the classroom, leaving behind the whispered remnants of a blog, dusted with shreds of faded photographs past. These days, I write as often as I can (which is not as regularly as I would like). I cook only rarely, and my camera and my food intersect awkwardly, like lovers who have grown apart but still try to maintain the pretense of an intimate relationship. Thinking of my forsaken blog causes me to wince. Friends advise that I shouldn’t worry about my absence from the electronic world. They are, in ways, right – isn’t it more important that I engage as a human being among fellow humans? Logically, this makes sense, but it doesn’t ease the guilt of abandonment or the mourning for the lost solace of each passing day. A blog is like a child or a spouse: it requires constant, devoted attention. The reciprocation, once provided, sustains the giver. Deprived of such dynamics, the partners stray. I have been wandering in the weeds. Nevertheless, I am blessed with friends who want, earnestly, to help keep me on track. 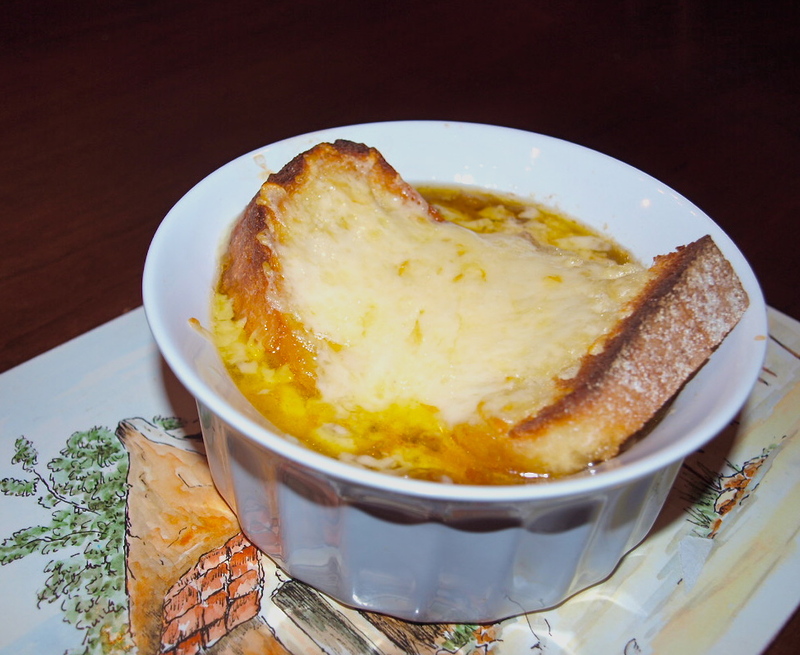 If I make French onion soup, with toasted baguettes topped with bubbling smoked Gouda, they rally around me in support, armed with oven mitts and professional-grade cameras… a boon to a girl who started a blog with an Elph and a dream. So I’m going back to my roots. I used to think an ambitious person could market herself in the food world and succeed according to the effort she put forth. Adulthood, and Amanda Hesser’s Food52 advice to budding food writers, convinced me otherwise. Realistically, the reach of my writing is constrained by the economic sensibilities of geographic distribution. Publishing trends and books sales are similarly disheartening. The modern literary forum is so different from that which fostered MFK Fisher and Julia Child. That knowledge is, reluctantly, and maybe must be by necessity, okay with me. I’m still a girl with a food dream. It would be awesome to one day realize my life in terms of writing about food for a greater purpose; I’m just not there yet. I couldn’t have started this blog without the help of the friends and readers who buoy me, without those shouts of support right from the beginning. 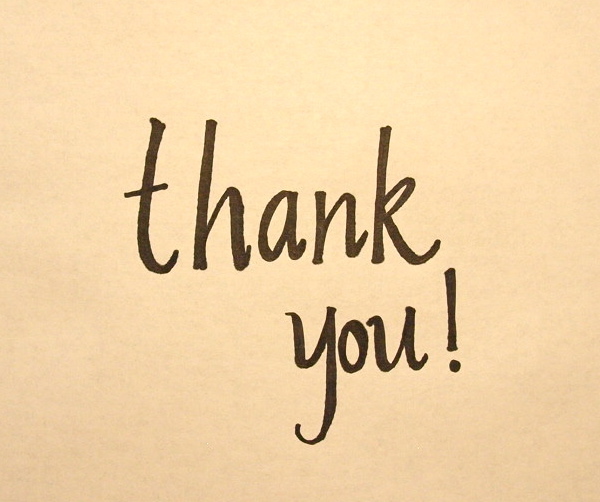 Thank you for joining me on this blog’s journey so far. Let’s make this a great year to get back to our roots… together. Do you see a door or a wall? I recently received a letter from a woman living in Virginia. A small yellow butterfly adorned her address label, and delicate blue cursive spelled out my name and address. It took me a few moments to register who this woman was, but, when I did, I tore into the envelope to read what she sent. I’d been hoping to hear from her since February, when I mailed her two sample essays and the obligatory reading fees – an opportunity I’d awaited since October 2010, when I first learned of the essay contest that she chairs: the MFK Fisher Award Contest. Nervous exhilaration flooded my synapses: my breath rapid, heartbeat pulsing in my ears. There, on the page, was the familiar logo, the organization’s name, and the names of its board of directors. There, printed in no uncertain terms, were the names of those who won. There, in no uncertain terms, wasn’t mine. My idol’s ghost slammed the door in my face. Doors open, doors close. I’m no stranger to rejection of my writing. Essays that appear on the blog are automatically at a disadvantage, since many publication venues consider them already “published” and are thus uninterested in “reprinting.” I continue to submit to those few venues that will consider my work. I’m okay with making the best of fewer options, and this was one of them… A contest blessed by the Grande Dame herself! MFK Fisher is a sensualist whose prolific writing on the pleasures of the plate profoundly influenced the world of food writing today. I’ve had a crush on her since I first read The Art of Eating over a decade ago. (I’ve since read it half a dozen times more.) I painstakingly selected the two entries I sent to the contest, intent on honoring her voice, her spirit, and her life’s work. I wanted this. I, the resolute pragmatist, allowed myself to believe this contest might even serve as a gateway. With the rejection letter clasped between my cold fingers, I hated myself for my optimism. My inner teenager shrieked and mentally threw a bucket of blood red paint on the winners’ cars. My inner grandmother clucked and shook her head, weary of a lifetime of wisdoms. I cried all night – a wretched, inconsolable mess, leaving behind a wake of soggy tissue and useless self-pity. Then I pried my fists from my swollen, bloodshot eyes and forced myself to stop. I wrote the award chairwoman a thank you note; gathered up the sour, limpid remnants of my humble pie; and moved on, jaw set, all the more determined to produce the caliber of writing necessary to place in the next award contest, which occurs in 2014. My husband and I live and work at a boarding school, so, between our own children and the ever-fluctuating student body, much of our day involves direct interaction with impressionable minds. We model our behavior and actions on those qualities we wish for others to see and learn. It’s a stance I embrace: instructive and inclusive. Many of the students I know have graduated but continue to follow my written work, either on Facebook or directly on the Eater Provocateur blog. How many times have I told them to keep faith in themselves? What would they think if they saw me curled in fetal position and wailing like a toddler on a sleep-deprived tirade? What message am I sending my kids? I was not born with an honest, easy sense of sportsmanship. I suffer Scrabble poorly. But I am trying. I want them – my children and the students – to be strong, proud, and unafraid of facing frightening challenges, even if they don’t surmount them (though I desperately hope they will). I want them to learn how to quickly recompose themselves after the wind has been knocked from them, and to extend a hand to those who have fallen around them. I want them to be Davids to the Goliaths of life. So I have to be all of those things myself. Disappointment is a condiment that overwhelms the palate, rendering all things bitter and unsavory. I am not proud of my unprofessional petulance. In my defense, I would like to point out that a year and a half is a really long time. Most contest deadlines range between three and six months; the MFK Award contest occurs every two years. The anticipation kills. Between October 2010 and the contest deadline in April 2012, I’d taken the MFK Fisher award out for many dates and we’d settled into a comfortable relationship. I’d visualized our eventual marriage, our idyllic future. The breakup was devastating. The official results have not yet been published online, so it would be unethical to disclose the winners’ names. I can say that the winners are cookbook authors, bloggers, chefs, and restaurateurs… even authors of highly regarded memoirs on the New York Times booklist. Most of my competitors operate in much larger social and professional spheres, and have resources like agents, assistants, editors, and publishers. Many have books of their own. I competed against 82 talented female writers, each of us working in our own way to bring back the pleasures of the table and raise culinary awareness. Now that the sting’s faded, I feel proud that I contended with such strong writers, especially as a newbie lacking in external professional representation. That counts for something. Clearly, we are all deeply passionate about the culinary world, contributors to culture and literature – also important. But defeat is defeat, and disappointment is a key ingredient in humble pie. Other ingredients include hubris, self-doubt, lack of confidence, and a fundamental oblivion to the enormity of the odds at hand. Humble pie pairs well with tequila. Be kind to Jules… She’s the only one of you that you’ve got! Ambition is not a dirty word! It doesn’t hurt to dream big – dreams are free! 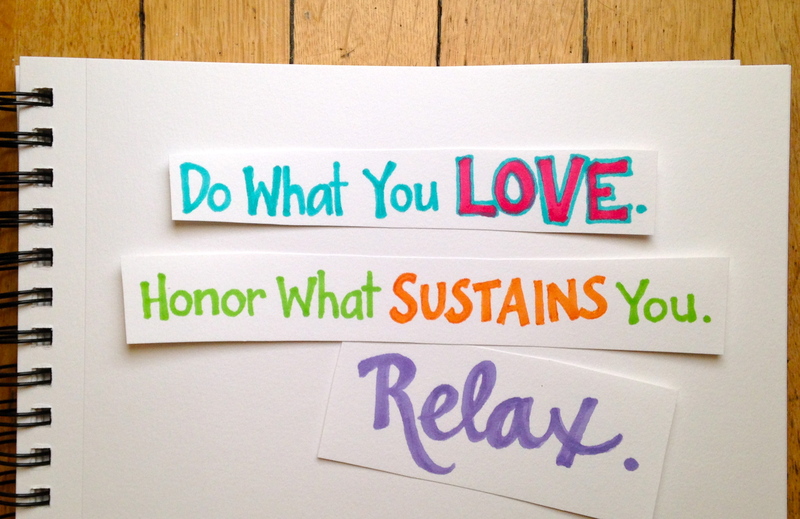 Life is short – live each moment! Never be afraid to show your compassion, intelligence, humor, and talent! I won’t lie. I thought briefly – again, petulantly – about quitting: ending the blog, giving up on submitting essays to venues. I thought: What’s the point? Why do I even try? I can’t go through this again! Why is it that in a moment of turmoil, my first impulse was to abandon the passion that sustains me? This is my forum for singing my love. Giving up is not an option. Doors open and doors close. The trick, as ever, is finding the right doors to open at the right time, and never relinquishing hope that they are there to be found. Life is short. Stop the insanity. All of the men in my immediate social circle are on diets. Some of the women are too. They’re ramping up their exercise routines, and going for longer walks and bike rides. They’re encircling their biceps, waists, and thighs with measuring tapes. Shared mealtimes have generated extended discussions about the evolutionary differences between the male and female anatomy. The men concede that they are, as a gender, luckier than women, who, as a gender, find it more difficult to lose those last few pounds because of the dictates of our respective genes. It’s a little squirrelly to overhear the guys swapping calorie facts, but overall I respect my friends’ resolve. I’m pondering their diets as I sit down to a dinner of habanero-deviled eggs, a few slices of Irish cheddar and pear, and a glass of red wine. I do not diet. The very word makes me ravenous. I run when I can, and I try to stand up and move around every hour or so, because I’ve read that this will prolong longevity. My weight remains constant, and I’m okay with a little extra curve. Heaven help the unwitting soul who makes the mistake of trying to recruit me to a stricter diet and workout routine. Food is the only variable in life that I can completely control. I eat what and when I want. 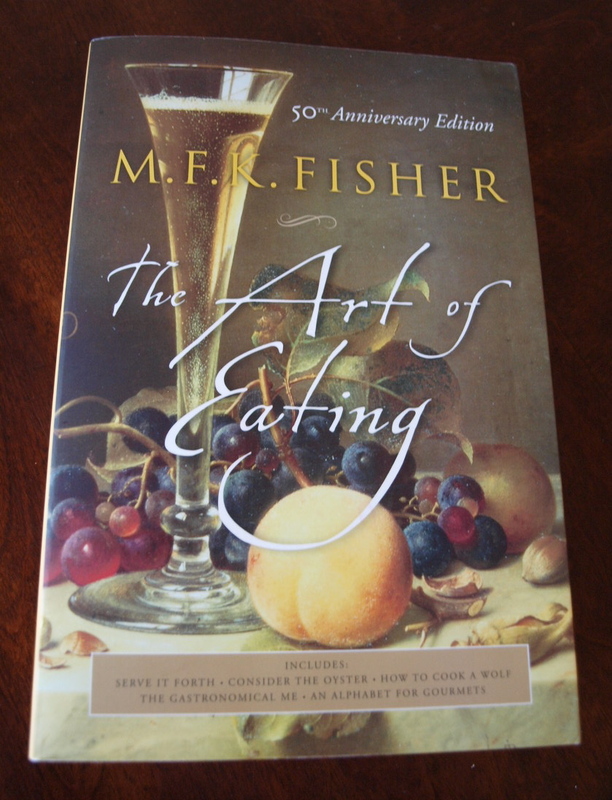 MFK Fisher, my idol and muse, writes: “One of the stupidest things in an earnest but stupid school of culinary thought is that each of the three daily meals should be ‘balanced.’” Fisher, an outspoken opponent of the “sad rigmarole” of “three daily feedings” based on static, uniform “conditioned appetites,” suggests an alternative approach to eating. 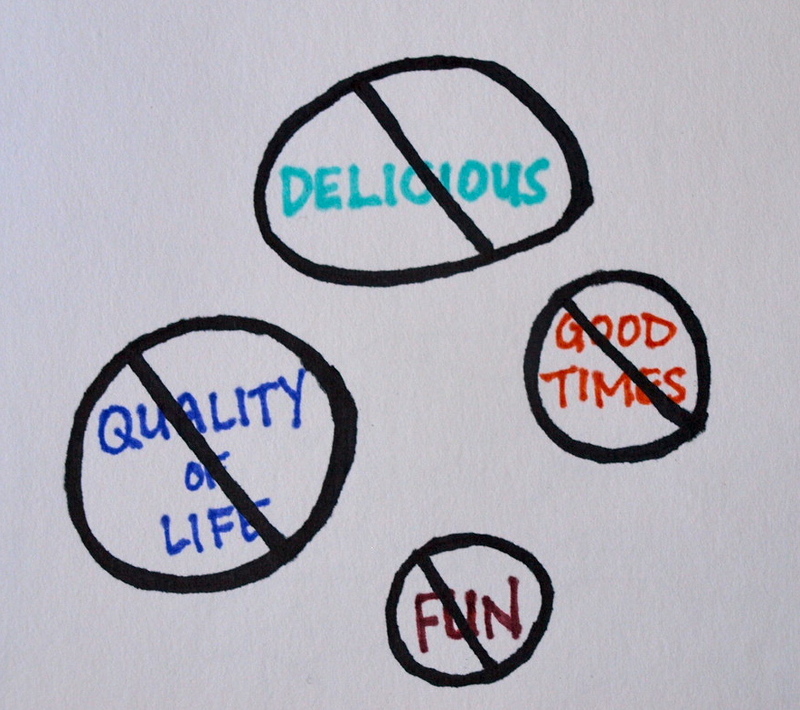 “Balance the day,” she writes, “not each meal in the day.” Moreover, she proposes the radical notion of enjoying the food we eat: savoring each bite; lingering over textures, tastes, and smells with sensual appreciation. I wholly ascribe to her philosophy. Sometimes dinner is a briny salad of butter lettuce heaped with sliced olives, red onion, tomato, feta, and Dijon vinaigrette. Sometimes dinner is the cheese course; sometimes a hunk of boule, ripped from the still-warm loaf. Though I’m trying to eat less meat, I readily partake of the power player known as bacon and indulge in the luxury of a great rib eye. Since I have yet to contract pellagra or rickets, I believe my diet is reasonably sound. Is it better to eat three nutritionally-composed meals a day, or to experience the high from eating a terrific plate of what you love the most and filling in the rest of the day with foods that balance it all out? Sensible is sensible. But no one receives an award for sensibility. St. Peter doesn’t slap a golden certificate in your palm when he meets you at the Pearly Gates. When I die, I would rather my friends remember me for my marathon cookie sessions or my spicy guacamole. I’d like them to think of all the dinner parties, wine, laughter, and Dance Central battles. I am baffled by the masochism of ignoring cravings, a twisted agony of will that has caused many a person’s dietary downfall. I succumb to cravings because I have a relentless single-mindedness about food, and if I do not cede to my cravings, they consume my senses until I do. I lose touch with reality. I obsess. If every cell in my body is screaming for a piece of fried chicken, then my body must be in need of this coveted protein. My cells sing for all kinds of foods: artichokes, Gouda mashed potatoes, mountains of fat blueberries resting on mounds of tart Greek yogurt. I give in, and it frees me of my obsession. Peaceful accord restores my glow. Fisher lived through war, food rationing, and times of widespread hunger. She makes a strong case for mindful eating from the standpoint of multiple economies: financial, domestic, and emotional. “Breakfast, then, can be toast,” she writes, offering one example among several other hypothetical meal suggestions for the day. “It can be piles of toast, generously buttered, and a bowl of honey or jam, and milk for Mortimer and coffee for you. You can be lavish because the meal is so inexpensive. You can have fun, because there is no trotting around with fried eggs and mussy dishes and grease in the pan and a lingeringly unpleasant smell in the air.” I don’t particularly mind frying eggs and dealing with dishes, but I agree with her underlying point. Simplified, unstructured meals cost less money and demand less clean up. This, in turn, encourages overall emotional wellbeing and heightened satisfaction from the foods we eat. If, one summer night, I eat a bowl full of sweet, ripe tomatoes and wash it down with a bottle of my friend’s homemade apple cider, my meal might cost me $2, as opposed to $1.50 for a chicken breast, $3.48 for salad fixings, and $1.69 for a package of dinner rolls. (Adding the family to the equation complicates the meal plan further, driving up costs and time spent catering to their preferences, but you get the gist.) Cheese is my costliest indulgence. It is worth every cent. You can’t put a price on cheese-related euphoria. Cauliflower: "the garden's pale brain"
I recline on a beige vinyl examination table with needles dangling from my face. They waggle in my peripheral vision when I twitch my lips. Still more needles hang from the skin on my wrists, ankles, and knees. The air smells faintly medicinal, like bandages; a metronome clicks softly in the darkened room. I am thinking about cauliflower. “Write anything lately?” asks Dr. R, positioning a small needle gun against various points on my ear. He smiles, a lock of hair flopping over his eyes. I wince when the needle gun applies pressure to an especially sensitive point on the ridge of my ear. Dr. R dials back the needle’s intensity. After a few more jabs, we move on to dinner plans. “I’m going to make coq au vin with my girls,” he says. I don’t know him, but Dr. R does a quick search for the recipe online as I recline in the dim coolness. He prints it for me and sets it by my side as the needles do their work. I try to relax, musing about the heroes of my kitchen; wondering how certain people rise to the level of fame that allows others to refer to them strictly by last name (Bittman, Bourdain, Pepin) or first (Julia, Mary Frances). I’m thinking about the charge I get when I meet a fellow lover of good food, how honest and easy it is to ‘talk food’ with others. My stomach rumbles at the prospect of a heaping mountain of hand-grated sharp cheddar (I always grate extra to compensate for the pinches I steal during preparation) and dark, nutty ale, frothing over boiled cauliflower florets. Curiosity gets the better of me. A needle falls from my right wrist as I reach for the recipe. Capers, garlic, rosemary, red pepper flakes, Pecorino Romano… The recipe reads as deliciously as I imagine it will taste, though I make a mental note to double the cheese when I try to make it. The cheddar and ale cauliflower soup marked the end of my yellow period, a bizarre month-long rash of yellow dishes. What an incredible farewell! My friend, Casey, and I devoured the soup in one sitting, mopping up its last vestiges from the pot with hunks of bread and leaving nothing behind but a thin film of cheese. The hearty soup was a perfect send-off to yellow cuisine… and a warm welcome to the chill of autumn, which brings with it the opportunity to start roasting foods again. Foods like cauliflower. I have often thought of cauliflower as an underappreciated vegetable. My research – happily – indicates otherwise. In 1891, Arthur Alger Crozier devoted over 200 pages to the humble head in a book called The cauliflower, just two years after James John Howard Gregory, a seed grower and distributor in Massachusetts, wrote the formidable Cabbages and Cauliflowers: How to Grow Them. Samuel Johnson and Lorna Crozier (relation to A.A. Crozier uncertain, though potentially serendipitous) both rhapsodize the cauliflower. Ms. Crozier writes: “The garden’s pale brain, it knows the secret lives of all the vegetables, holds their fantasies, their green libidos in its fleshy lobes.” The ‘brain’ portion is called the curd. Cauliflower withstands colder temperatures, making it an ideal winter vegetable. It tastes delicious roasted or in soup. (To prevent yellowing, try boiling it with a little bit of lemon juice or vinegar.) Cauliflower can be pureed or mashed, and served as an alternative to potatoes. Escoffier writes of a puree that incorporates boiled, pureed cauliflower with mashed potatoes, cream, and butter. The New Larousse Gastronomique offers several sauces, recipes, and preparations for cauliflower, as does Mastering the Art of French Cooking. The Fannie Farmer Cookbook and The Joy of Cooking contain intriguing recipes for fried cauliflower, and Curnonsky, the ‘Prince of Gastronomes,’ cites a mouth-watering gratin called Cauliflower Cheese in his Traditional French Cooking. Cheese is a popular accompaniment for the vegetable. The leaves of the cauliflower are also edible, though according to the Food Lover’s Companion they “take longer to cook and have a stronger flavor than the curd.” The Splendid Table’s How to Eat Supper offers a good leaf-inclusive recipe with helpful cooking suggestions. My preparation of choice requires no heat at all: I wash my cauliflower and dry it well, chop it into bite-size florets, salt it, and eat it raw. If I’m feeling particularly industrious, I might make a little dip with Greek yogurt and ranch dressing. The vegetable strikes similarly wistful notes with me. In French, cauliflower is called a chou-fleur, which literally means cabbage flower. It is one of those sweet translations that appeal to my love of words, inseparably connected with one of my mother’s own beloved translations. Mom used to chop off the florets and trim down the stalk, cutting away the cauliflower’s fibrous layers to reveal the little nubbin of edible stalk at its core. She called this piece the kachun, or heart. 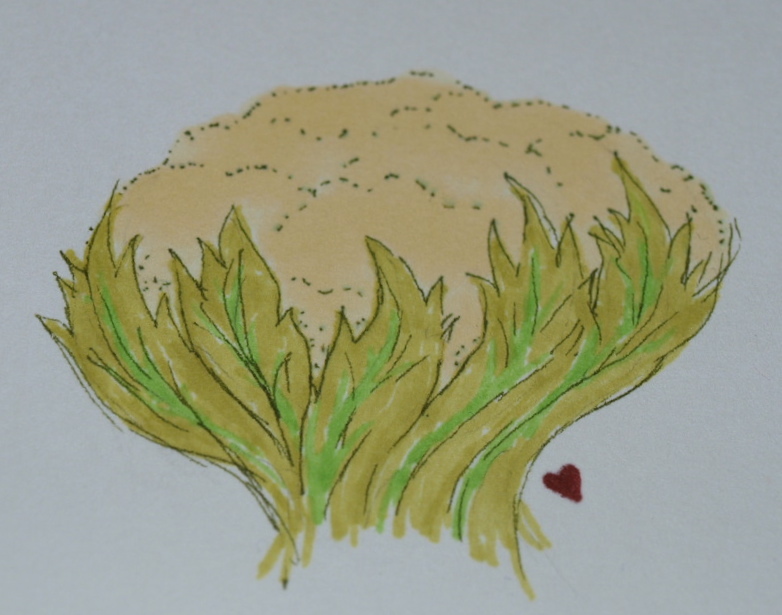 I’ve written about the kachun before; it will forever be the tastiest part of the cauliflower for me. Each time I prepare a cauliflower, I make sure to savor the kachun and say a prayer for my mom, who fed me well on a steady diet of hearts. Mix all the ingredients together. Tastes best when shared with friends. A burly man with an impressive white beard and faded blue overalls greets me at the Farmer’s Market. “Well, hello!” says the man, whose name I soon learn is Tennessee. He extends a warm hand. “Welcome to our market, young lady,” he says. As I select my produce for the week, Tennessee pulls aside my 4-year-old daughter, Rory, and says, “Aren’t you a pretty one? Would you like a plum?” She accepts his plum with a toothy grin and seats herself on a nearby cooler, nibbling. My son, Kai, joins Rory momentarily with a plum of his own. Over the tables piled high with peaches, tomatoes, apricots, corn, and berries, Tennessee asks how much I’d be willing to sell my children for. Kai recently started reading Green Eggs and Ham aloud to me in the car, so green eggs have been on my mind. My copy of The New Larousse Gastronomique lists several variations on green eggs, among them: Oeufs… en chartreuse (with carrots, turnips, French beans, green peas, and braised cabbage); à la chevreuse (with pureed French beans); à la chivry (with butter-fried asparagus tips and chivry sauce, consisting of white wine, shallot, chopped chervil and tarragon, velouté sauce, white stock, and butter); à la clamart (with peas à la francaise and green pea butter); and à la cressionère (with watercress puree). All of the green ingredients repeat themselves in respective recipes for hard-boiled, poached, scrambled, and omelet counterparts as well. Tarragon and other green herbs play supporting roles. Larousse recommends boiling eggs in water with well-mashed spinach in order to attain green Easter eggs without the use of artificial dyes. 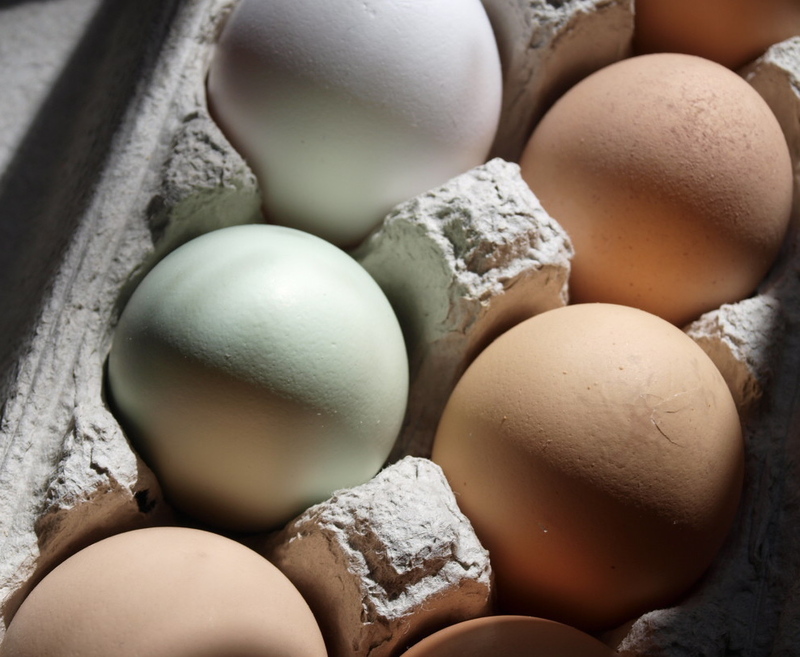 Tennessee’s green eggs result from genetics: a chicken’s breed determines the color of its eggshell. I owe thanks to blue-shelled breeds like the Chilean Araucanas, who crossbred with brown-shelled chickens to create my beloved greens. Leghorns comprise a majority of white shells available today, while Rhode Island Reds and Plymouth Rocks produce brown shells. The Science of Good Food informs me that “the color of the shell has nothing to do with the nutritional quality of an egg, nor how it was processed.” Nutritionally speaking, an egg is an egg regardless of differences in outward appearance, though there is some evidence that free-range chickens nourished on a varied diet produce eggs that are richer in flavor, as Larousse posits. The egg salesman at the Farmer’s Market – a boy of about ten who I suspect is one of Tennessee’s grandchildren – confided that sometimes the green eggs have double yolks, which instantly elevated them to my favorite variety. Though it may pain my physician to read this, the yolk is the jewel of my egg. I adore a soft, creamy yolk with the white barely set, whether soft-boiled, poached, or fried. Double yolks? Sweeeeet. Here is my perfect soft-cooked yolk formula for 6400 feet above sea level: Place eggs in cold water, cover. Bring to boil, remove cover, add salt, and quickly reduce heat to a gentle, almost non-simmer. Simmer for 4 minutes only. Empty pan of water and replace with lots of cold water to cool eggs. Peel off shells, cut eggs in half, sprinkle with salt, and eat immediately. You’ll lose some white if your eggs are fresh, but no matter. In this preparation, whites are the readily discarded protective armor for the glorious yolks within. Old age is the primary culprit in egg dishonesty. As McGee explains, egg whites become “progressively more runny with time.” Additionally, a slow influx of the water present in egg whites crosses into the yolk each day, causing “the yolk to swell, which stretches and weakens the yolk membrane,” thinning the yolks “dramatically.” Runny whites may be easier to separate from the yolks, rendering them optimum for baking, but most egg cooking methods benefit from the use of fresh, firm eggs. Is there a good way to test an egg’s honesty? Drop it into a pot of cold water. A fresh egg will sink – and quickly, because it has less air and is dense. The older the egg, the bigger the air pocket in its fat end, which causes the egg to rise/float in the water. Several authors agree that an uncooked egg should be discarded if it fully floats on the water’s surface. Fisher contends that “the finest way to know that the egg you plan to eat is a fresh one is to own the hen that makes it.” I would add that it is also very fine to know the farmer who owns the hen who makes it. I boil my store-bought eggs as Tennessee suggested. The following week, I buy Tennessee’s instead: $2.00 for one dozen, a price competitive with the grocery store.